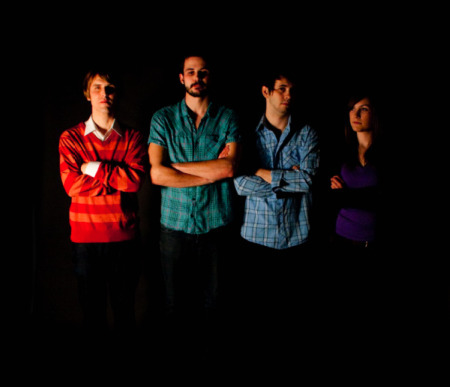 While listening to the song ‘Waiting’ by Toronto’s Volcano Playground (at their myspace), I not only couldn’t help drifting into that dreamy place where Beach House normally takes me, but wondering why the song sounded so familiar? Turns out today was my 2nd overdue notice to check out this 4-piece. Perhaps everything I really did some damage to my brain while drinking beer out of my wellington boot this past weekend in Ottawa. Really hope there’s no lasting effects. 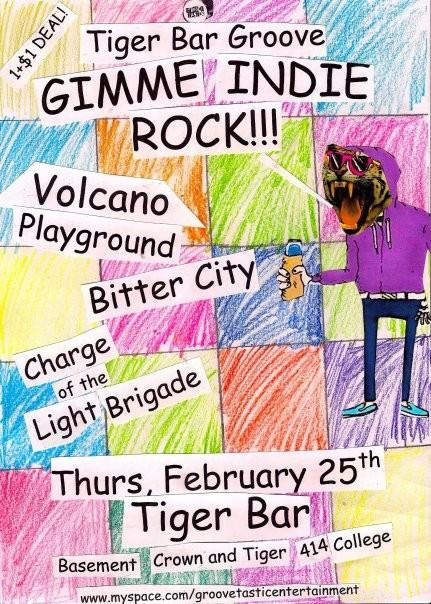 Care of Groovetastic Entertainment, Volcano Playground will be headlining a show this thurs with Bitter City and Charge of the Light Brigade at Tiger Bar (414 College). More details here. Looking forward to it.